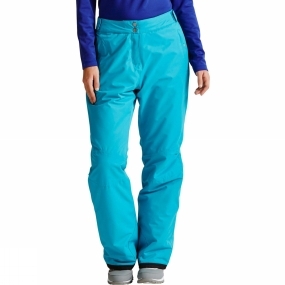 Fuss-free, warm-wearing, waterproof and breathable, the Women's Attract II Pants deliver weatherproof comfort so you can enjoy the slopes from the first chair to sundown. Insulated Ared 5,000 fabric keeps you warm and dry. The detachable braces and waistband adjust for a fine-tuned fit. Integral snowgaiters and zipped hems ensure a close fit around your boots while reinforced hems enhance durability.